To fulfill international aid reporting requirements, USAID built a data repository for tracking all foreign assistance activities funded by the U.S. Government. This collection of datasets contains the U. S. Government's Annual Assistance Report (USAAR) to the Development Assistance Committee (DAC) of the Organization for Economic Cooperation and Development (OECD). This dataset links to the data from 2009 through 2016. This is the link to the data in the Foreign Aid Explorer. The Explorer shows the multi-dimensional picture of U.S. foreign assistance through a highly visual and interactive website. The website makes it easy for all users to find and retrieve the data they need. For the casual user, there are interactive maps and graphics that clearly lay out the details of foreign aid, allowing users to explore foreign aid data across countries, sectors, and over time. More advanced users can quickly download their desired data using our data query tools or by selecting from a choice of prepared files. Foreign Aid Explorer is a product of USAID's Economic Analysis and Data Services. The Foreign Aid Explorer reports comprehensive, aggregate historical (1946-2000) and disaggregated (2001-present) obligation and disbursement data on the 30 U.S. Government agencies implementing foreign assistance. USAID collects the data on the Foreign Aid Explorer quarterly or annually, depending on the capability of the reporting agency. These data are used to report official U.S. Government foreign aid to Congress and the OECD. USAID posts data to the Foreign Aid Explorer periodically throughout the year as significant data releases are ready. MIT D-Lab, in partnership with the World Vegetable Center, conducted an evaluation of technologies designed to improve the storage of vegetables using evaporative cooling. The methodologies used included interviews with users of the cooling and storage technologies, interviews with stakeholders along the vegetable supply chain, and sensors to monitor product performance parameters. The study took place in Mali, where the World Vegetable Center is engaged in ongoing work with horticulture cooperatives and farmers. Suitable cooling and storage technologies have the potential to prevent food loss (thereby increasing access to nutritious foods), strengthen the perishable food supply chain, and create opportunities for additional income generation. Because these designs for cooling chambers work with the natural cooling processes of evaporation, they are well suited for regions where electricity is either not available or not affordable. The Office of the Chief Information Officer in the Management Bureau of USAID launched initiatives designed for IT cost savings and avoidance. This dataset includes those initiatives where some or all planned cost savings and avoidance has been realized and the total by year of the realized cost savings and avoidance. The dataset will be updated periodically to reflect new initiatives or adjustments to the totals. 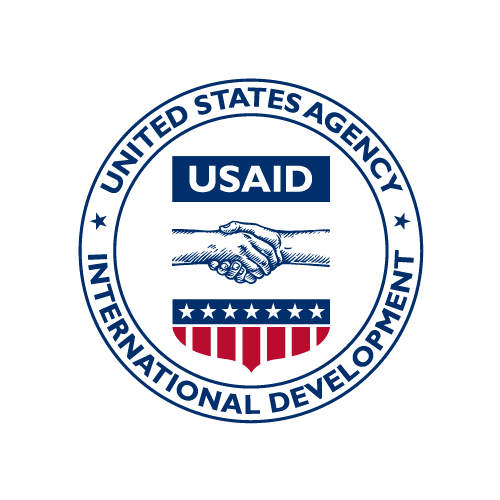 This is the link to the Dollars to Results page on the USAID public-facing web site. Dollars to Results shows spending in a fiscal year alongside results reported for that same year. Data are illustrative and do not reflect the entirety of impact achieved from the overall funds disbursed. This file contains four years of data for 60 USAID Operating Units.